As many of you know, 2009 was a big year for PlayStation Home. The millions of you that use PlayStation Home saw us transform from a 3D virtual world into a true social gaming platform with more than 50 spaces and over 100 games. One of the biggest highlights of the year was the launch of the popular Sodium One space, which has redefined what a social game can be by combining massive action, stunning graphics and social experiences in a way never done before. 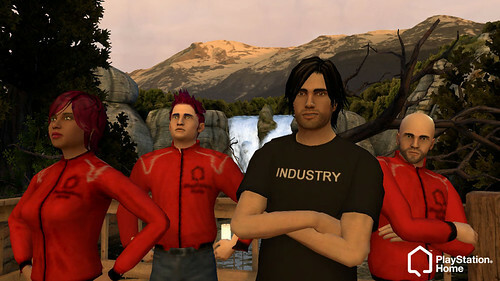 PlayStation Home has become a leader in the evolution of social games from simple 2D web games to immersive high-definition 3D experiences made possible by the tremendous horsepower of the PlayStation 3. As we start the new year, we are not slowing down. We are adding new spaces, community events and virtual items each and every week, with many of these updates based directly on your feedback. Last week marked an important milestone in our evolution with a new iteration of the Mall, which was heavily influenced by our community’s request to have a more streamlined shopping experience. 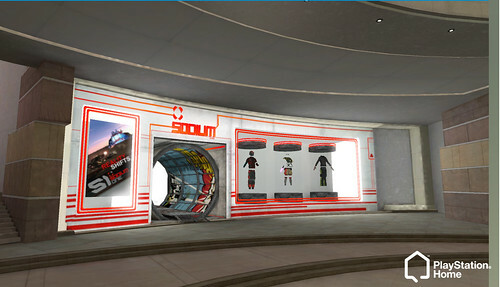 The Mall now features stores from some of our closest partners, including Loot from Sony Pictures who brought us all of the awesome Ghostbusters gear, our friends at Lockwood – creators of Sodium, and of course EA Sports, who have been among the strongest supporters of PlayStation Home since the earliest days after launch. One new face to PlayStation Home is LucasArts, who brought both Star Wars and Indiana Jones to their new store in the PlayStation Home Mall. I for one will be rocking the Imperial Stormtrooper outfit for the foreseeable future. PlayStation Home is based on a “freemium” model, which allows you, our community to play games, meet friends, explore and discover rewards – all for free. In addition, there are opportunities to personalize your experience with virtual items that allow you to stand out from the crowd, or even play your favorite games in PlayStation Home better (thank you Stomper Boots!) Whether you buy virtual items or just play games and hang out, I would like to extend a huge “thank you” for your support from everyone on our team. With all that said, this is just the beginning of what we have in store for you. Many of our long time community members have been asking for features, fixes and content that we have been secretly hard at work on, and will be rolling out over time. Rest assured that we hear your requests loud and clear (I personally use Home and read the forums daily), and although we can’t deliver everything we’re asked for, we will compliment all of these new features and content with a renewed focus on open dialogue and service. Our Home Community Managers, along with myself, continue to work on addressing your questions regarding our direction for the next year, so stay tuned to the PlayStation Home forums for what is sure to be a lively conversation! We have an incredible number of new surprises ahead, so if you’re not already a member of the PlayStation Home community, there has never been a better time to jump in and experience all of the fun. Thank you Home Community. Keep being awesome. playstation is way better than xbox. xbox has to pay for their service, lol. playstation network rocks!!! ^_^ ive been on home for about a year and a half, and at first it sucked. though i still played it, it has gotten much better. but there are things they could add. like radios, tvs, n stuff. wouldnt it be sweet if you could do what that movie surrogates does. log in and do ps home virtually. lol sweet.